Abe Medeiros ’21 knew his choice of a communication major was an excellent fit given his interests. But it wasn’t until he enrolled in Stonehill’s new Pathways to Careers program that he realized just how many doors the degree program could open and how much flexibility it provided. Success in college often is rooted in finding your passion and then building the path that allows you to maximize your impact after graduation. Pathways to Careers is a personal development program designed to help students draw connections between their liberal arts curriculum and the skills needed to stand out in their chosen field. It is offered in partnership with Stonehill’s Career Development Center (CDC) and anchored by a one-credit course. The idea for Pathways to Careers stemmed from national research into the top skills in demand by employers. 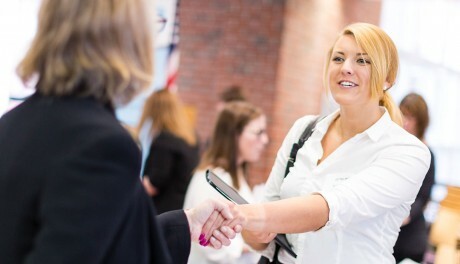 Pathways ensures that students develop an awareness of those in-demand skills during their time at Stonehill. 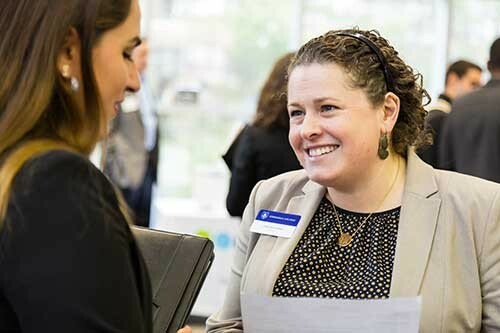 For the program’s launch, Kelley and Burney chose to offer the one-credit course to cohorts of sophomore students looking to explore and design career paths. “This could be a good class for any student who’s thinking about where they might go with their career,” said Burney. Helping students choose a career path, and formulating a plan on how to acquire the hard, or technical, skills needed to succeed in that industry. Stonehill’s Cornerstone Program develops the invaluable soft skills that employers and graduate schools desire in competitive applicants: course assignments enable students to hone their analytical and critical thinking skills; group projects foster leadership development; and in-class discussions prepare students to be effective communicators. “Over their four years, we’re developing students in a holistic way. That’s the crux of the Congregation of Holy Cross education,” said Kelley. 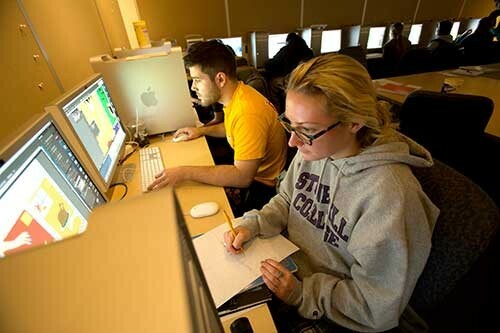 Soft skill development has always been integral to Stonehill’s academic model. What Pathways does is teach students how to talk to employers about their command of those skills. “The Pathways class made me sit back and think about everything that I have learned, understand what I gained from all my classes, and how it made me a better person,” said Madeleine Fancher ’21, a neuroscience major and art history minor from Clifton Park, New York. Another aspect of this holistic approach is to begin exposing students to the hard skills that are in demand by employers, such as social media, data analysis, graphic design and sales. One way in which Burney encourages student reflection is by bringing in panels of Stonehill alumni to talk about the choices they have made since graduation. For Medeiros, a panel about technical skills inspired him to take a digital media production course and a graphic design course and to add a business minor. More than just equipping students with resume builders for life after graduation, the course encourages students to think deeply about their strengths and be intentional about learning new skills. Students say this has been an important takeaway in the program. Students can reassess and transition to a new career because of the skills they acquire at the College. And the Pathways to Careers program reaffirms this. As the program gains traction, organizers are thinking of ways to expand its reach. Burney is petitioning for funding to begin the second phase — a spring course in which students choose a technical skill to study further. She envisions a program in which a spring course would be followed by an internship over the summer. Regardless of how it evolves, students say it has already been instrumental in preparing them for the future.